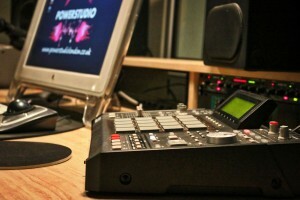 Just Studio Hire: £349 per 8 hour day. 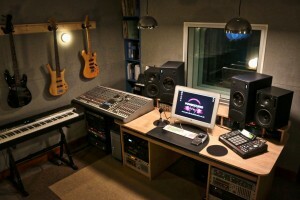 Additional: £250 with producer/writer and engineer and additional musicians used. We have an IT team that will assist in getting reviews on many big music sites, and arrange and build websites. We at L.A.D. Will take care of all the mixing and mastering on all our productions. All of the above, subject to terms and conditions. The L.A.D. Program on offer is for 6 months or 12 months depending on how the act is developing and moving forwards and wishes to continue the development process. Singing and Performance Coaching – Your voice is your tool, and it’s important not to just teach people how to sing, but to teach them how to deliver, through conviction, diction, and stage presence. We can even refer you to Dance Attic, Fulham where they will put you through your paces. Songwriting – This is a skill which takes years to develop but we are here to help. We have written hit songs for many of the UK’s biggest artists and will help you develop your song writing skills and take it to the next level. Production – This essential in today’s market. There are millions of artists singing to piano or karaoke tracks, but to stand out you need professional production wrapped around you. Labels today are looking to pick up the finished product and thats what we deliver. Image and Style Direction – With years of experience in the industry we know that your look is vital. We will support and push you towards a unique look that will help get you noticed. Music Industry Advice – With so many years of experience in the music industry we know the INS and OUTS of the industry and what’s hot and what is most definitely not! Internet Exposure – Having your social media up-to-date in this day an age acts very much acts like a directory, and this is not enough. We know how to utilise and expand your online exposure so you can build your fan base. Advice and Direction on Artist Websites – Your own personal website is where you show off away from the limitations of social media, so make it count! A&R scouts will only take one look at your website, and if it’s not up to scratch they wont be looking again. We know award winning website designers and builders and will point you in the right direction.